The joint N2Women and WICE workshop aims to foster connections among the underrepresented women in communications, computer networking and related research fields. The workshop also welcomes men who share the same research interests, often face similar career hurdles as women, acknowledge underrepresentation of women in the field and believe proactive action is required for improving retention rate. This workshop was co-located with the IEEE International Conference on Communications (ICC) 2018. 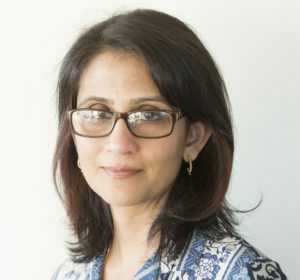 Dr. Monisha Ghosh joined NSF as a rotating Program Director in September 2017, in the Computer and Network Systems (CNS) division within the Directorate of Computer & Information Science and Engineering (CISE). She manages wireless networking research within the Networking Technologies and Systems (NeTS) program of CNS. Dr. Ghosh is a Research Professor at the University of Chicago, with a joint appointment at the Argonne National Laboratories, where she conducts research on wireless technologies for the IoT, 5G cellular, next generation Wi-Fi systems, coexistence and machine learning for predictive oncology. Prior to joining the University of Chicago in September 2015, she worked at Interdigital, Philips Research and Bell Laboratories, on various wireless systems such as the HDTV broadcast standard, cable standardization and on cognitive radio for the TV White Spaces. She has been an active contributor to many industry standards and was recognized with a Certificate of Appreciation for her outstanding contributions to IEEE 802.22. She is a Fellow of the IEEE. She received her Ph.D. in Electrical Engineering from the University of Southern California in 1991, and her B. Tech from the Indian Institute of Technology, Kharagpur (India) in 1986. 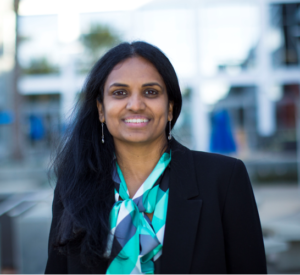 Vanitha Kumar is a Vice President of Software Engineering at Qualcomm Technologies Incorporated. Vanitha holds a Master of Science degree in Electrical Engineering from Northeastern University, and a Bachelor of Electronics & Communication Engineering degree from PSG College of Technology, India. Vanitha has 20 years of experience in the wireless telecommunications industry and in embedded software architecture, design, and development. She has also contributed actively to cellular technology standards. She has about 20 issued patents and several more pending. In her current role, Vanitha leads the modem SW air interface technology including 5G, 4G-LTE, and Cellular IoT across multiple global locations. Vanitha played a key role in the commercialization and launch of CDMA in Qualcomm’s chipsets in early/mid 2000. After that she led the 4G-LTE SW team and has been responsible for integration , commercialization and launch of 4G in 1000s of products globally. She is currently also responsible for the 5G and Cellular IoT SW roadmap. She also has vast experience leading multiple generation of Qualcomm chipsets and working closely with customers , vendors and cellular carriers to enable launch of many devices. Vanitha is passionate about the role of women in science and technology. She has chaired and put together panels for the Grace Hopper and IEEE women leadership conferences. She is on the board of Qualcomm Foundation in charge of Corporate Giving. She is also on the board of Elementary Institute of Science which is a non-profit organization that focuses on developing exposure and interest in STEM careers among young children. She is one of the recipients of the prestigious YWCA TWIN (Tribute to Women and Industry) award for 2016. Vanitha also coaches science Olympiad and Robotics teams at her daughter’s school. 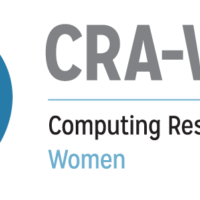 The joint N2Women and WICE workshop aims to foster connections among women and researchers from underrepresented groups and minorities in communications, computer networking and related research fields. The workshop also welcomes men who share the same research interests, often face similar career hurdles as women, acknowledge underrepresentation of women and other minority groups in the field and believe proactive action is required for improving retention rate. Submit posters by March 30th. Authors of all accepted posters will have their workshop registration reimbursed after they attend the conference. Among them, students will receive a complementary ICC main conference registration as well. A limited number of travel grants are available for students (undergraduate or graduate), postdocs or young professionals who present a poster at this workshop, up to $800 for attendees from North America, and $1500 for attendees from the rest of the world. Students will receive a complementary ICC main conference registration as well.